If you have been charged with possessing or distributing methamphetamine in South Jersey, you should speak with an experienced criminal defense lawyer as soon as possible. Methamphetamine, also known as “meth,” can lead to series penalties if you are found guilty. 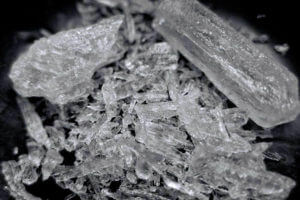 Law enforcement officers and prosecutors aggressively pursue individuals suspected of methamphetamine possession, as well as those accused of selling meth in New Jersey. As with many drug charges, the penalties for methamphetamine distribution become more severe as the amount of the substance increases. Even merely having meth in your possession can lead to charges for a third degree crime and up to five years in prison. Not only can a conviction for crystal meth damage your reputation, your criminal record, your ability to drive, and your finances, but it may result in you losing your freedom. Fortunately, you don’t have to face these charges alone. At our firm, our skilled criminal defense attorneys are poised to attack the State’s case in pursuit of the best result. With partner William Fay, who has prosecuted numerous cases on behalf of the Attorney General’s Office of New Jersey, we aggressively fight drug charges on behalf of clients in Mount Holly, Camden, Woodbury, Burlington County, Camden County, Gloucester County, and across the Southern part of New Jersey. If you have been charged with possession or distribution of methamphetamine, contact us today for a free consultation. Mr. Fay will discuss your specific case, answer your questions, and explain your legal options. Simply call 609-832-3202 or contact us online to schedule an appointment at one of our convenient office locations. Methamphetamine is classified as a Schedule II controlled dangerous substance in New Jersey. Although approved by the United States Food and Drug Administration under limited circumstances for treatment of conditions such as ADHD, extreme obesity, and narcolepsy, it is highly addictive and can cause severe withdrawal symptoms. Meth bears many names, including speed, crank, ice, glass, and crystal meth. It is a powerful central nervous system stimulant and is mostly used as a recreational drug. In New Jersey, simple possession of meth is considered a third degree crime in violation of N.J.S.A. 2C:35-10. Being charged with methamphetamine possession exposes you to series penalties, including a prison sentence ranging from 3 to 5 years and a maximum fine of $35,000. It is important to note, however, that third degree crimes in New Jersey have a presumption of non-incarceration for first-time offenders. This means that if you have no prior criminal record, you may be eligible for a diversionary program known as Pretrial Intervention (PTI). If you become enrolled in PTI and comply with the program’s requirements during the probationary term, the charges against you are dismissed. You are also eligible to expunge your record of the initial arrest and charge 6 months after completing Pretrial Intervention. To find out if you may be eligible for PTI and can use a diversion to have your meth charges dismissed, contact our criminal defense attorneys. Charges for distributing meth or possession of meth with intent to distribute range in severity based on the measured weight of the drug involved in the specific case. New Jersey Statute 2C:35-5 explains the classifications for a violation of this section with respect to methamphetamine. If the charges involve less than half an ounce of meth, this is a third degree crime. While the maximum prison term is 5 years, you may also be fined up to $75,000. For methamphetamine distribution involving between half an ounce and five ounces, this is a second degree crime with a prison range from 5 to 10 years and a fine of up to $150,000. In the most serious cases for possession with intent to distribute meth (when you are found with five ounces or more), you will face first degree charges. First degree crimes for distributing methamphetamine are punishable by up to 20 years in NJ State Prison and fines of up to $300,000. It is important to note that you may face additional charges and penalties if you are accused of distributing meth in a school zone or within 1,000 feet of school property (including a school bus). New Jersey also criminalizes possession of meth with intent to distribute within 500 feet of certain public property, which includes public housing, public parks, and other government-owned facilities. A conviction for a public property drug crime exposes you to significantly enhanced penalties and a mandatory minimum term of imprisonment. Criminal charges for meth can be harmful under any circumstances. The attorneys at our criminal defense law firm understand the stakes and will work tirelessly to help you avoid the consequences of a conviction. If you or someone you love has been arrested for possession or distribution of methamphetamine, contact our criminal defense lawyers for immediate assistance. Consultations are free of charge, so call 609-832-3202 now. Don’t risk your future.